Exercise is necessary for overall health and vitality, emotional well-being, stress management and reproductive wellness. No matter one’s fertility-health status, we each need to be engaged in moderate-intensity exercise 30 minutes a day, at s minimum of five times a week. Understanding the right amount of exercise for optimal fertility is important as you choose which exercises to participate in on your fertility journey. 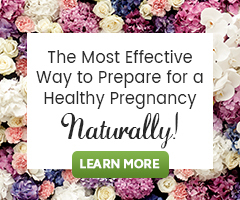 Because we want you to feel empowered to naturally support your fertility health and be able to do so in the comfort of your own home, we thought you might like to know about the Aviva Method exercises. What is the Aviva Method? increasing blood flow to the organs of the lower abdomen/pelvic bowl. implementing reflexology (all body systems and reproductive organs are believed to be stimulated by gentle massage of points on the feet). improving hormonal communication throughout the body. Who is the Aviva Method for? Both men and women. supporting the return to a regular menstrual cycle if the cycle has been short or long, painful or heavy, irregular or absent. helping to overcome weight problems caused by hormonal imbalance. boosting healthy circulation to the uterus and ovaries, which may be beneficial as a part of a natural fertility program for those with endometriosis in the early stages and uterine fibroids, Polycystic Ovarian Syndrome (PCOS) or ovarian cysts, or any fertility health issue known to compromise healthy circulation and cause stagnation. improved sexual desire and libido. increased circulation to the reproductive organs for improved erectile function. Take a daily brisk walk or leisurely bike ride, join a Zumba or Pilates class, try Fertility Yoga, learn Nicole Brodie’s Fit & Fabulous Pre-Pregnancy Fitness Program and consider learning the Aviva Method exercises. It’s okay to switch up your exercise routine to keep it feeling new and fun. What’s most important is that you move daily and enjoy what you choose to do!